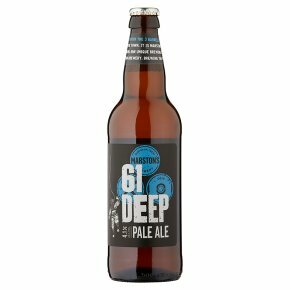 61 Deep Pale Ale 61 metres. That's the depth of the well at the Brewery that gives this refreshing pale ale its name. The five American and Australian hops give it its fresh, zesty aroma, whilst the tropical fruit and citrus notes make it extremely drinkable. Dive in.